Did you know that moisture naturally builds up in your home? However, problems occur when there’s too much moisture. Not only can moisture problems cause health problems, but they can also damage your home, costing you a big chunk of change. If you’re experiencing moisture problems in your home, you’re not alone. 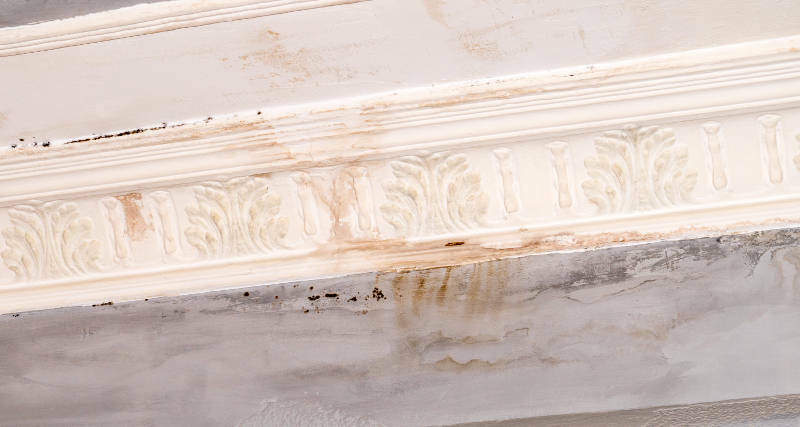 Many homes can suffer from moisture damage. Don’t fret though, there’s a way to get rid of all that excess dampness. If you’re wondering why your home feels damp all the time, it’s time to inspect a few things and find the source of your moisture problems. What Causes Moisture Problems in Your Home? It’s always good to know what causes the moisture issue in the first place. To fix it properly you must know the cause of it first. Below are some common causes for excess moisture in your home. Do you have rotted window trim, peeling paint or damaged siding? Extra moisture building up in your walls may be the cause. Look for holes in the structure and foundation of your home. If you see any, water or humid air may be entering your home causing there to be excess moisture. These need to be sealed right away and the wood that’s damaged needs to be replaced. Roofs commonly have water issues in your home. The roof of your home is intended to protect you from the weather. However, if you have a leak, rain, snow and hail can be get in and wreak havoc! Even if it’s not an issue with your roof, it may be an issue with the sheaves. If rain comes in at angle, then it can find a way into your home causing a lot of damage and moisture problems. We’re sure this doesn’t surprise many people but there’s a lot of water usage in the bathroom. With that much water usage, moisture problems are more likely to occur. For instance, if your bathroom has a damp smell to it, you may have a leak in some of your plumbing. Check the caulk around the shower and sink to make sure the water isn’t leaking through the cracks. Make sure there’s plenty of ventilation in the bathroom too. Ventilation eliminates moisture in the air by giving it a place to escape after a shower or running hot water. This can happen to anyone with a basement. The walls, if not sealed properly, can allow water into your basement. If you have carpet in your basement, pull it back and see if there are any stains caused by water leakage. The door to the basement can be the culprit. If it’s not sealed properly, water can come under it, causing moisture problems in your basement. Now that we’ve gone over some common causes for moisture problems in your home, let’s get to solving them. Moisture can be handled in several different ways and we recommend taking every step possible to reduce all the extra build up of moisture in your home. You’ll be glad you did, and your home will be protected from any unnecessary water damage and mold. Strom doors greatly reduce the amount of water that can get into your home. Not only do they help with your moisture problem, but they also help in lowering your heating and cooling costs. How can a door possibly save you money on your bills? By creating another layer of insulation, heated and cooled air will have a difficult time escaping your home. This removes some of the stress faced by your furnace and air conditioner, causing them to use less power. In turn, you’ll end up saving money on your energy bills. Make sure the weatherstripping on your doors and windows is in good shape. If not, then we highly suggest you replacing as soon as possible. Moisture from the outside air can enter in through all the cracks. replace your old weatherstripping will seal cracks and may solve some of your moisture prbolems. No water will be able to sneak under your door easily. Dehumidifiers do exactly what their name implies: they remove moisture from the air, reducing the humidity. If you suspect there’s an abundance of moisture in your home, consider purchasing a dehumidifier. Good circulation is key. Turn on some fans and get the air moving in your home. If you don’t like the draft, you can reverse the direction of your fan and it’ll pull the air toward the ceiling instead of blowing it down on you. Storm windows provide an extra layer of insulation and can greatly reduce the moisture in your home. we recommend them on any home that may be experiencing any moisture problems. We recommend getting vinyl windows for your home. They’re a great options because they’ll never warp or rot so you won’t find any gaps between the window sash and the frame where moisture can seep in. Also, make sure your windows are installed by a trusted professional. If they’re not measured or installed properly, you’re sure to have leak and gaps. That’s where Feldco comes in – we’re Chicago’s best window company. Get a free quote and stop your moisture problems. Leaking faucets won’t up rack up the cost of your utility bills, but can add moisture to your home. They waste water and cause moisture problems. If you have any leaking faucets in your kitchen or bathrooms, replace them right away. There are some important factors to keep in mind about moisture problems in your home. We’ll go over the most important things to be aware of below. 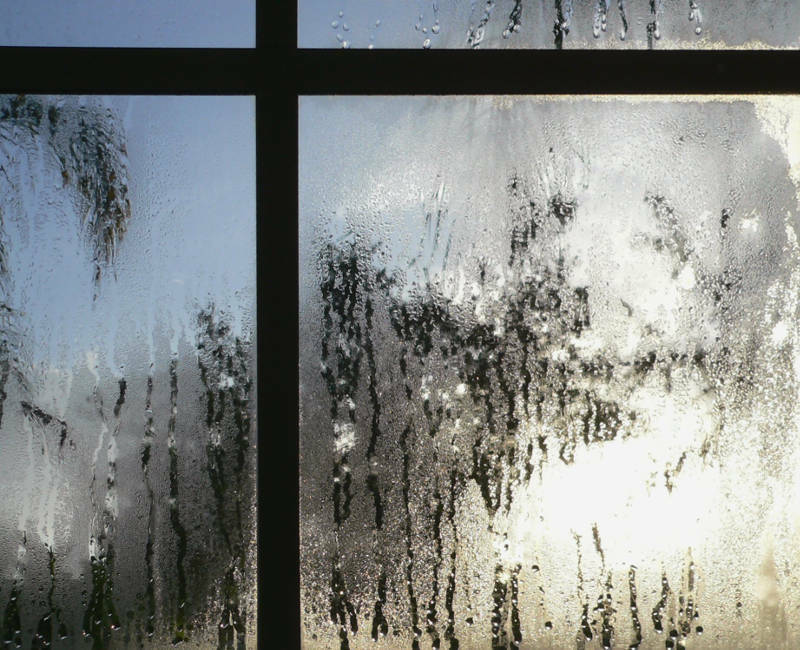 Having too much humidity in your home can be the cause for your moisture problems. There are also health risks associate with having too much humidity in your home, including dry skin, sinus problems and mold build up. Make sure you limit the amount of humidity in your home any way you can. The ideal humidity levels are 40-50%. A hygrometer can tell you what the percentage is in your home. Moisture helps mold grow in your home- you don’t want that! Mold spreads quickly and can cause some major health problems. Get a hold on the problem right away! You may experience bugs in your home as a result of moisture problems. Bugs love moisture so they’ll find a way in – usually it’s the same way the moisture did. Winter and summer differ in humidity. Although winter may feel drier, your home experiences more moisture. This can be an issue if the moisture is not under control. Make sure you don’t have excessive window condensation. You may not be able to control the humidity outside, but you can get the humidity inside your home under control. By following this guide, the extra moisture should clear up, giving you relief and peace of mind. We know that moisture in your home can be annoying and frustrating, but if you take hold of the issue as soon as you notice it, you can save yourself a lot of time and money. Never ignore moisture problems in your home. Make sure you always have a helping hand in installing any new windows or doors. Safety should always come first! Feldco is here to help you with all of your window and door needs. We’ve Chicago’s best window and door company and have helped over 350,000 homeowners with their home improvement projects. Get a free quote now and see why so many homeowners trust Feldco.